1) Build more Myelin, today. Myelin provides insulation to your nervous system, and this insulation strengthens the electric signal of data being carried from one nerve cell to the next. Sound complicated? In layman terms, it helps your body & mind react to different scenarios faster and with more precision. The infamous wandeag becomes pure reaction through myelin. The catch is, myelin is only built over time by continuously firing your system for the particular task you are seeking to develop. 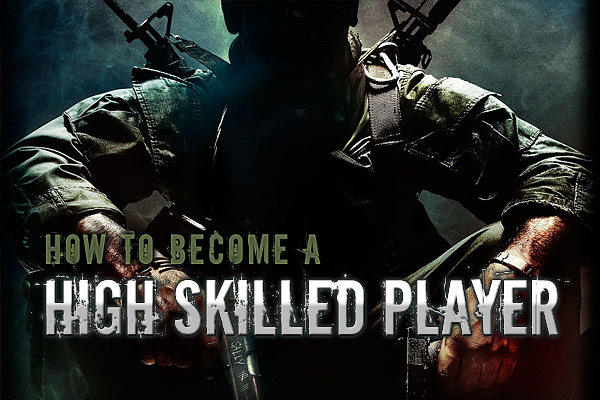 So if you want to become a High Plus Gamer, you need to practice like one… to become one. Our Popular Muscle Memory Workout followed by some focused Deathmatch (where you force yourself to apply the things you’ve learnt, not going for sloppy frags). Play Tough games against Tough teams, remain focused. I always like to say that medium skill players have game-sense, but that high skill gamers have match-sense; an ability to understand all events occurring simultaneously in-game. This vision allows them to continuously adapt their strategy towards a win, round for round. A holistic approach lets you control what happens, forcing your opponents to split apart, force themselves through chokepoints or make bad decisions because you’ve played the clock against them. The opportunities to control them are only available if you recognize them and communicate them to your team. Teams that take on a holistic approach will for instances mold their defenses; rotating, shifting resources, flanking, counter-rushing whenever it makes sense during the round (due to the actions or inactions of opponents). High skill players inherently have this continuous drive to exploit situations. Developing an arsenal of solutions and tactics for different situations comes with experience, which brings us to our next section; an open mind towards failure that results in long term gains. This ties back to Myelin heavily, but deserves a section of its own. When playing an important match, you can balance being passive and aggressive. However, when you’re playing on a public server or just practicing, it’s important to fire off signals through your nervous system as much as possible, conditioning yourself to different scenarios. If you’re used to 2 “confrontations” a minute when playing CS and as an example play 20 hours a week, that’s 2400 confrontations per week. However, the player that is being aggressive and who gets 10 confrontations per minute, sums up over 600’000 confrontations per year. Who do you think will become a better player a year later? It doesn’t only matter how aggressive your style is, but also how diverse your actions are; the ability to try new positions, new rush paths, new nade tricks and so on. You shouldn’t care about the losses you’ll experience, because you’ll only become stronger when the real matches come around. This seems like commonsense, but it’s important to mention. Great players surround themselves with equally skilled players, it’s the only way to keep up your strengths and develop yourself further. It’s important that if you’re looking for a team, that it meets a number of qualities, including but not limited to: Maturity, Hunger for Development and most importantly an Ability to Give & Receive Constructive Criticism. You won’t get on a strong crew by changing teams every week; so be humble and willing to stick it out for a little while here and there. Arrogant players won’t stick around long and won’t be welcome come game time. Long gone are the days that your computers setup do not matter anymore. All this marketing still has us believing all sorts of bullsh*t though. This includes but is not limited to 5040 DPI mice, the latest GFX card and crazy garbage like 7.1 headsets (and then people complain about $60 games, the irony). There’s no secret setting, but be sure to take care of the basics and then tweak the various items to make it work for you. Next post: Black Ops Movie Server – Be featured in our Videos!